Here at The Gynae centre, our facilities are approved by the Care Quality Commission for day surgery. This means we are able to cut your costs by about 50% in avoiding admission to hospital. Most minor surgeries require only local anaesthesia which saves on cost. However, should you prefer to be asleep, we are happy to provide a highly qualified Anaesthetist to administer deep sedation. The most common procedures are listed below, please contact the centre for other procedures as associated costs may not be listed. 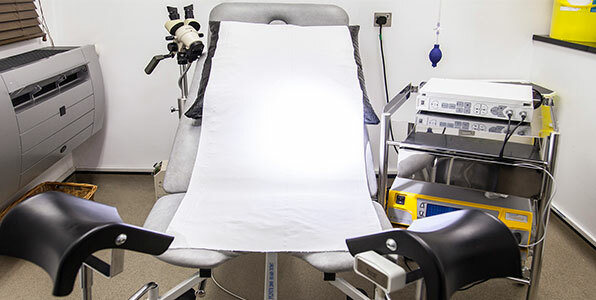 Hysteroscopy: £2,000. Includes surgery, sedation, removal of small polyps or small adhesions, specimen analysis ad a follow-up. Hymen repair under local anaesthesia: £2,000. Botox for vaginismus: £1,200. Includes Botox fees, injections and one follow-up. Vaginoplasty with conscious sedation at The Gynae Centre: £2,600. Includes surgery, theatre fee and follow-up. Manual vacuum aspiration of the uterus under local anaesthesia: £875. Includes theatre fee and disposables. Loop excision (LLETZ): £1,100 under local anaesthesia including specimen analysis. Fees include the theatre, surgery and anaesthesia. Procedure fees do not include our initial consultation fee which is required for all new patients. Any of these procedures may be performed under deep sedation for an additional fee. Most of the above procedures require admission and postoperative stay for only 1-2 hours and you should be able to resume your normal activities the same or following day.